Four white meat chicken tenders, hand-breaded, fried to a golden brown and served with your choice of ranch, bleu cheese, BBQ or honey mustard dipping sauce. 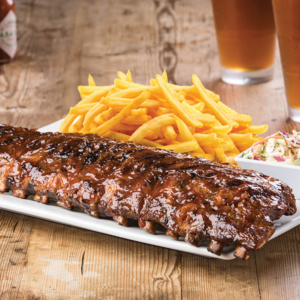 Dry-rubbed, slow-roasted baby back pork ribs, brushed with a sweet and tangy BBQ sauce. 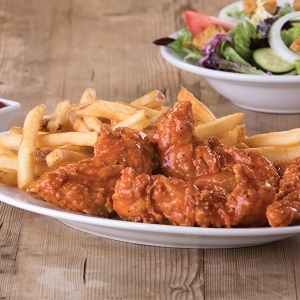 Served with a side of coleslaw and fries. Full and half rack available. Thanksgiving all year long. 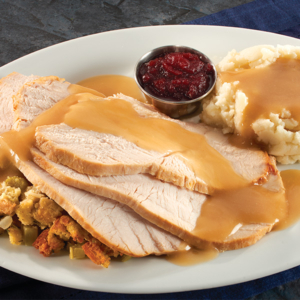 Oven roasted and hand carved turkey and stuffing smothered in gravy. Served with a side of cranberry sauce. Hand-breaded chopped steak, fried to a golden brown and topped with choice of beef or sausage gravy. 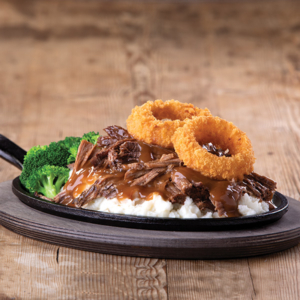 Slow cooked pot roast over top of mashed potatoes served with vegetable and topped with gravy and onion rings. 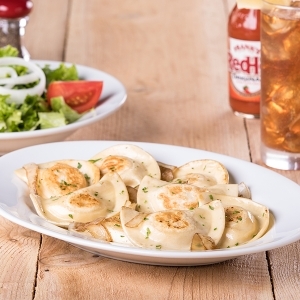 Entrée does not include additional side items. Two juicy slices of our original, made from scratch Black Angus USDA Choice meatloaf. 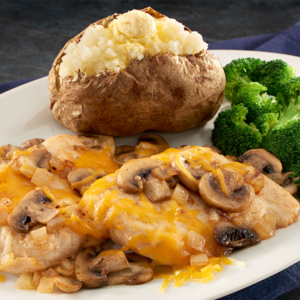 Two grilled chicken breasts topped with grilled mushrooms, onions and melted provolone and Cheddar Jack cheese. 8 oz. 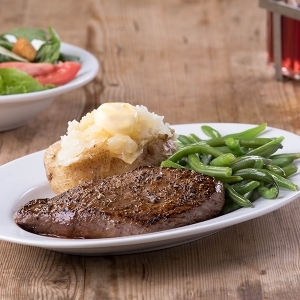 of our finest Black Angus USDA Choice chopped steak, grilled and topped with hearty beef gravy. 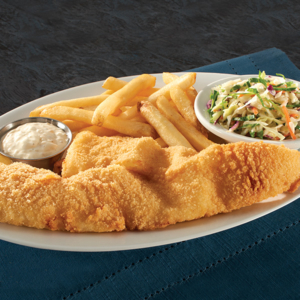 Served with garlic bread and your choice of a cup of soup or house salad. 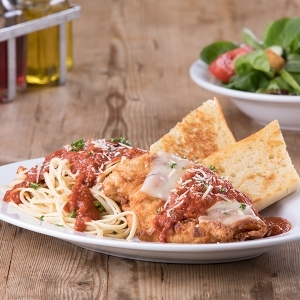 Hand-breaded and fried chicken breast served with pasta, melted provolone cheese and zesty marinara sauce. A plateful of Pittsburgh! Eight pierogies stuffed with potato and cheese and topped with onions and sour cream. North Atlantic cod, breaded and fried to a golden brown. Served with tartar or cocktail sauce. 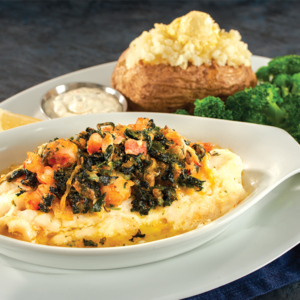 North Atlantic cod fillet, broiled and covered with a delicious topping of shrimp, crab, cheese and spinach.